Over the past many years, India has been undergoing a palpable transformation. The Indians of yesterday were steadfast savers as they spent as little as was necessary and saved as much as was possible, all towards ensuring a safe and secure future. In contrast, modern Indians no longer hesitate in spending to enjoy their today but are also conscious to ensure that they are not reckless about the future. 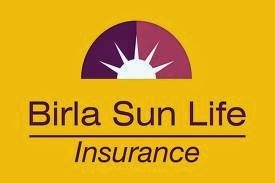 Birla Sun Life Insurance (BSLI), the life insurance arm of the Aditya Birla Financial Services Group through its latest campaign on Savings with Protection Solutions seeks to bring certainty and confidence in customers’ lives in line with the Group’s commitment to empowering mass India to self realize the benefits of financial planning. BSLI’s Savings with Protection Solution offers a bouquet of products that are designed to help consumers achieve the fine balance of maximising today while securing tomorrow. It enables them to save for future needs by setting aside a small amount regularly, allowing them to maintain their current lifestyle as well as to secure the future. This solution offers tax-free savings with life cover. The TVC on this new solution captures the customers’ desires to live in the present together with the anxiety to secure the future. Life may continue to surprise us with its many uncertainties but if we have smartly planned our finances, money will never have to be the reason for breaking the heart of our loved ones. Using a slice-of-life story of an everyday Indian couple, the TVC begins with the husband animatedly talking on the phone excited about the first foreign trip the middle-aged couple is planning to undertake post their wedding. In contrast, the wife who has just quit her job is discussing rising unwanted expenditure with her friend on her way home from work. In this emotional dichotomy, the wife overhears the husband’s conversation where he states he isn’t worried of expenses as his wife continues to work and supplement the family income. This is when the wife breaks the news of her quitting the job expecting that her husband will cancel their trip to avoid the unnecessary expenditure. However, he continues to be carefree and still willing to undertake the holiday owing to his practice of steady savings. Through this TVC, the company aims to urge viewers to plan their future through regular small savings in a life full of uncertainties with Birla Sun Life Savings with Protection Solution. The television commercial (TVC) breaks on-air on February 12, 2014 and the campaign duration is of 5 weeks. The campaign will be present across different mediums including television, radio, and digital, along with ample support from on-ground activation. BSLI will for the first time associate with a cricketing event and engage in content integration on radio to drive the savings message. This TVC has been worked upon by some very creative minds in the business including Shimit Amin of Chak De India fame as Director and features Swanand Kirkire, award winning lyricist and playback singer as the lead actor.